Welcome to part one of this concise and precise how to overclock your CPU guide, in which I’m going to explain the fundamentals and phases of overclocking. With all of the crucial details explained, and all of the unneeded info stripped away. Once you’ve absorbed the information below you’ll have a good understanding of what’s involved in the process, and the exact things you’ll need to do to get a better gaming experience from your CPU. It’s also worth mentioning that it isn’t some ultra-complex brain twister of a process, so let’s go. First, what exactly is CPU overclocking? Simply put it’s the process of manually increasing your CPU’s working speed, from 3.8 gigahertz to 4.2 gigahertz for example, while simultaneously taking steps to ensure you don’t damage it with to much heat. The aforementioned act of increasing CPU speed will cause the CPU to give of more heat as it works harder, and to consume more power. So, turning it up to high without using a sufficient cooler, or without observing the increased factors with software, can result in damage to your CPU which can both shorten its lifespan and cause it to be unstable. And sometimes can even cause it to die completely [dun dun dunnnn!] . . . but! we’ll be doing it the right way so we’ll be avoiding those headaches and side stepping those pit falls. If you’re a smart cookie and are reading this before you’ve bought a CPU then you are in the advantageous position of being able to choose one that’s been built with overclocking in mind. Both Intel and AMD offer a good number of overclock-able CPU s, and if you’re looking to keep costs down you can choose one that’s slightly dated but still very powerful. It doesn’t take much looking to discern whether a CPU is overclock-able or not, and, it is usually boasted about in the title [look for extreme edition – K series – or with unlocked multiplier] on the box, or on the manufacturers website. As I already mentioned a bit earlier the act of overclocking your CPU causes it to exude more heat . . . so you’ll definitely need a quality CPU Cooler to get the most out of this process. And unfortunately, the basic coolers which come with most CPU s aren’t up to the task, although they’re fine for running at normal speeds. If you need to know more about this part of the process I’ve investigated three of the best budget CPU coolers here. Monitoring which factors are changing as you increase CPU speed is also crucial, and the main two you need to keep both eyes on are temperature and watts. A good software program which allows you to view watts is CPU-Z, on its main window [just below your CPU name] you will see Max TDP, which stands for thermal design power and shows you the maximum number of watts that your CPU will use. And the best program I’ve found for monitoring temperature is Core Temp, because it works for both Intel and AMD CPU s.
Both programs are free to download, are quite small and are easy to familiarize yourself with. Once you understand what temperature your CPU rises to when it’s overclocked, you can choose a CPU cooler which can decrease temperature accordingly. While different motherboards will have different BIOS features, tabs and names, the actions you take to overclock your CPU will always be very similar. A good analogy would be to compare your BIOS to a house, there’s a control room inside your house you must enter to flip the desired switch. Different houses might have slightly different routes to get to the control room but once there you always flip the same switch . . . and if your motherboard uses slightly different option names than the ones I’m using below it shouldn’t be too tough to logically determine what means what. OK . . . to enter your BIOS turn your PC off completely for 5 to 10 seconds then turn it back on. As it starts, before showing you the windows logo and password screen, it will briefly display data about your motherboard [usually just the model name] and what keys you need to press to enter different areas. The BIOS key is usually DELETE or F2 and pressing it once or twice quickly then holding it down until the BIOS screen appears always works best for me. The first setting to have a look at is the CPU Core Ratio – sometimes called the CPU Multiplier, remember the unlocked multiplier I mentioned earlier? well this is it. When you select CPU Core Ratio with your arrow keys hit ENTER and you’ll be presented with 3 more options. AUTO is your stock speed, and it lets you run at higher speeds when fewer cores are under load. SYNC ALL CORES lets you adjust the multiplier, and it changes all cores simultaneously and locks them there . . . so they’ll all work together regardless of what kind of load is on your CPU. PER CORE this option lets you custom your own turbo boost technology. It’s more complex so we won’t get hung up on it here, but it will be explained in detail in part 2 of this overclocking guide. So, to turn up your CPU speed it’s best to choose SYNC ALL CORES, and increase it gradually. Then return to the desktop and check your CPU temperature with Core Temp, check how fast your CPU is now going with CPU-Z, and you’ll be able to see how many extra watts it’s using. Of course, this isn’t a check once and forget about it, you’ll be periodically keeping an eye on these important factors as you zero in the overclock. This new data will let you know how much extra cooling to apply, your new CPU speed and how much extra voltage you need to apply . . . speaking of which. Adjusting your CPU Voltage is one of the most important steps in a well-executed and safe overclocking operation. Because after you’ve increased CPU speed you must also increase the voltage to maintain stability and deliver the right amount of power in Watts to your CPU. So, an overly simplified explanation of overclocking would be. It’s also worth pointing out that adding to many extra volts and heat [I believe the technical term is getting really jiggy with it] will decrease the life span of any CPU. Again, different motherboards will have slightly different options for changing the CPU voltage. But most of the newer gaming motherboards will feature these 4 options . . .
AUTO mode is self-explanatory and we won’t be using it. MANUAL MODE lets us key in a voltage and set it there. OFF-SET MODE takes your stock voltage and raises them a notch, which gives you the extra voltage you need when you’re running at an overclocked setting. But it doesn’t automatically lower your voltage back down when your CPU isn’t using it. This is where ADAPTIVE MODE swoops in and saves the day, it provides your CPU with the extra voltage it needs when it’s working hard . . . and lowers it back down to default voltages when it’s not doing anything. So ultimately which mode should we use? Use Manual Mode at first as you adjust and zero things into where you want them, and when you’re happy and set switch to Adaptive Mode for the superior power saving. If you’re using older hardware you should check if it features Intel’s lower c state or speed step, and if it does you should disable them. Because they’ll turn the CPU speed down when it’s unnecessary, if your CPU is a Haswell you don’t need to worry about this. So, what have been the most important factors we learned about during this guide? 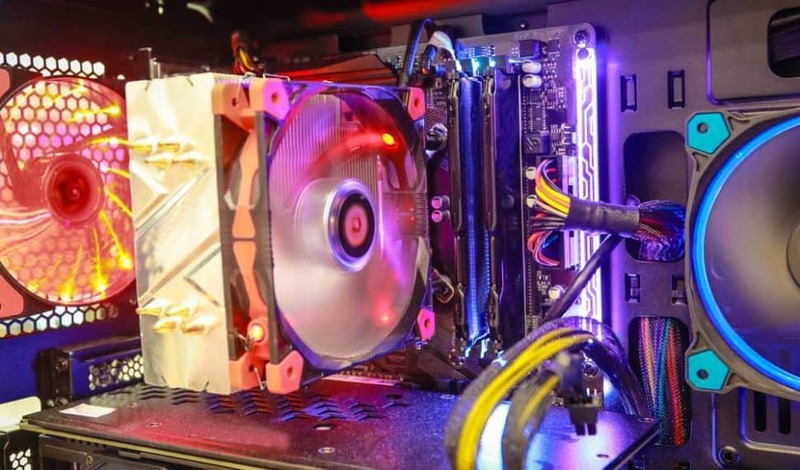 First, we made ourselves aware of CPU overclocking hazards, specifically excess heat which needs better cooling, and the extra power consumption which needs a PSU that can handle it. We learned that it’s better to shop around first for a CPU with a good overclocking reputation, as opposed to jumping in with any old CPU. And we also discovered that proper cooling and monitoring with CPU-Z and Core Temp are important for avoiding damage and getting the best results possible. After that we looked at how to actually enter your BIOS, and then how to adjust CPU speed. And lastly how to adjust your CPU voltage to ensure stability. 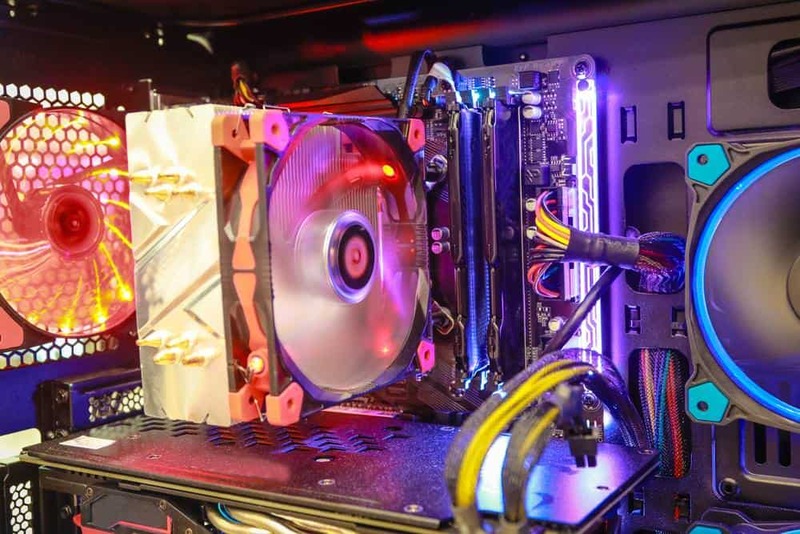 Hopefully this guide has given you a better understanding of what’s involved in overclocking your CPU, along with a clear process of getting it done.